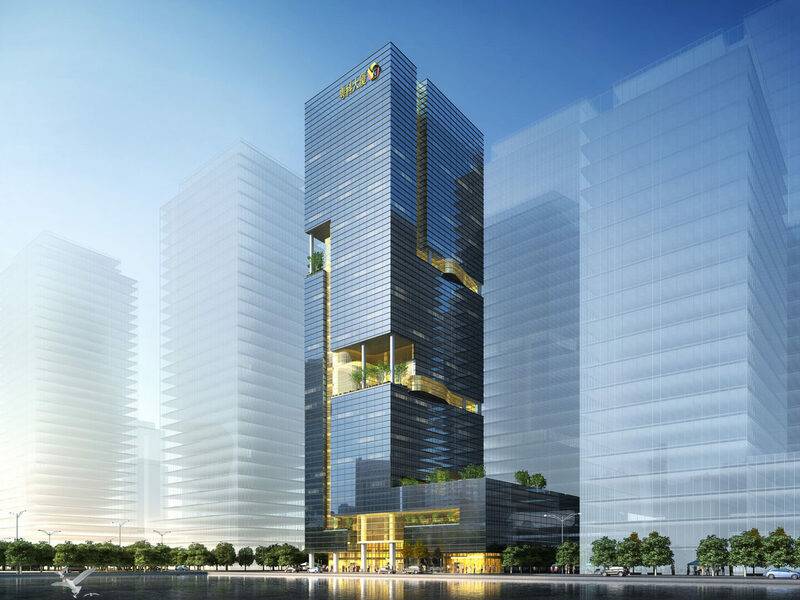 Archimorphic, in collaboration with GDAD, were awarded 2nd place in the Yueke Technology Financial Group Headquarters Competition (Guangzhou, China). The company’s focus is on forming robust relationships between the financial sector and technology sector. Reflecting this, the design brings two distinct architectural languages into a coherent whole. The gold weaving bands capture the innovative spirit and provide indoor and outdoor green spaces to promote social interaction. Symbolically, the gold color conveys the nature of business, which is referred to as the “gold circulation” in the Chinese language. In contrast, rectilinear shapes, acting as formwork for the fluid forms, illustrate the permanence of the financial world.